Shohin bonsai are typically under 10 inches from the soil to the top of the tree. Mame bonsai, a sub-category of shohin, are bonsai under 4 inches from the soil to the top of the tree. More about feel. Trees should be physically small and express the feeling of a small bonsai. Shohin focus more on seasonal beauty (flowering, fruiting, and colorful trees) as well as harmony, subtlety, and balance. Shohin are freer, and more abstract, than larger bonsai but a natural feeling is still important. Mention of potted trees in china dates back to at least 206 B.C. These potted trees made their way to Japan somewhere between 1180-1333 A.D. and thus bonsai was born in Japan. Though the art of shohin bonsai dates back roughly a hundred and fifty years, popular interest in shohin didn’t begin until 1968. Interest in shohin made its way to the west shortly thereafter in the 1970’s. Today shohin bonsai are extremely popular and offer several benefits over larger trees. Species that ramify well with fine branching and twigging. Tropicals are ideal as they tolerate hard pruning. Shohin have fewer branches so proper selection of the branches is important. Typically, a strong taper ratio in both trunks and branches is desired. Informal, and semi-cascade are styles that are most common and compliment the shohin feel. “clump” style shohin and even small forests can be made into convincing shohin. Nebari is not AS important in shohin, and may be little more than a small flare at the base. 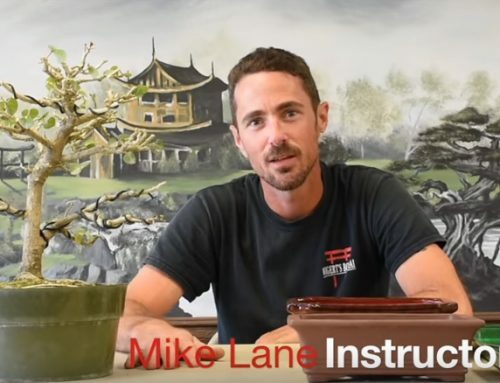 As in all bonsai, drainage is most important in selecting a container. Pot should be in harmony with the tree and composition as a whole. Special horticultural considerations should be made due to the small soil mass. Ex. Placing into tray of sand, or keeping in the shade. Trees should be all different species varying color, texture and shape. Pots should also vary in color, shape, and design.